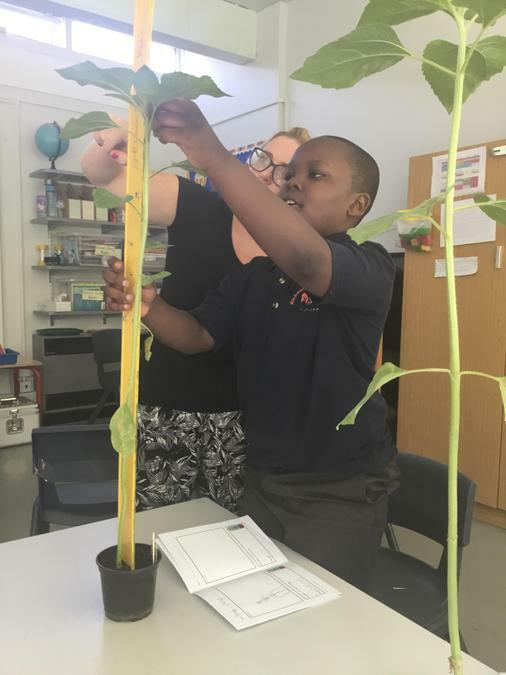 Year 4 have been growing some sunflowers as part of our topic How Does Our Garden Grow? 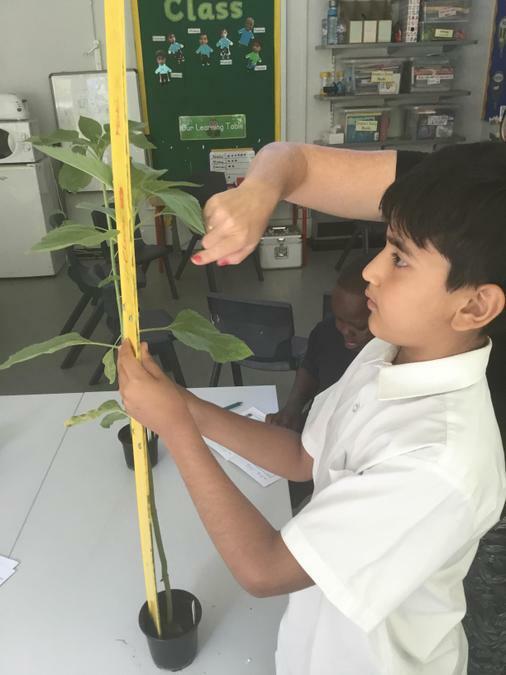 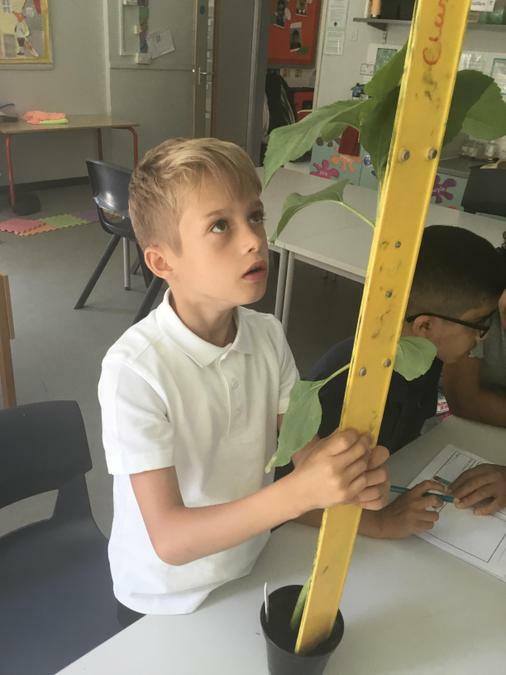 Here are some of tallest sunflowers- the children had to get a metre stick to measure them. 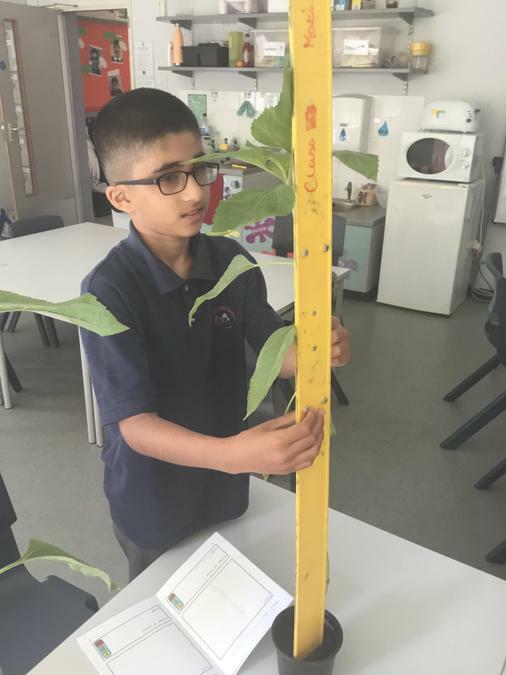 The tallest one is 81cm!